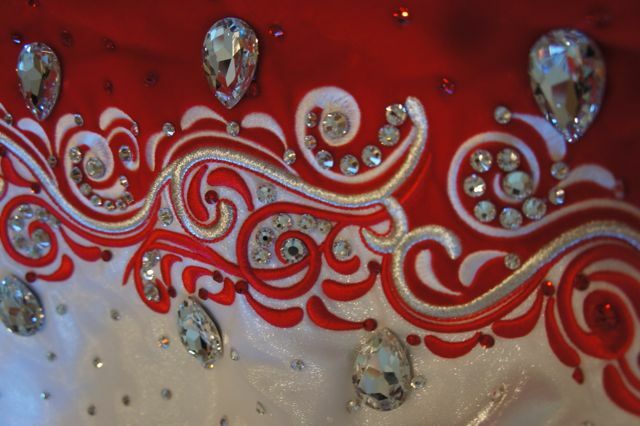 We are the 2nd owners of this timeless red velvet/white satin dress covered in sparkling red and clear Swarovski crystals and stunning embroidery work. 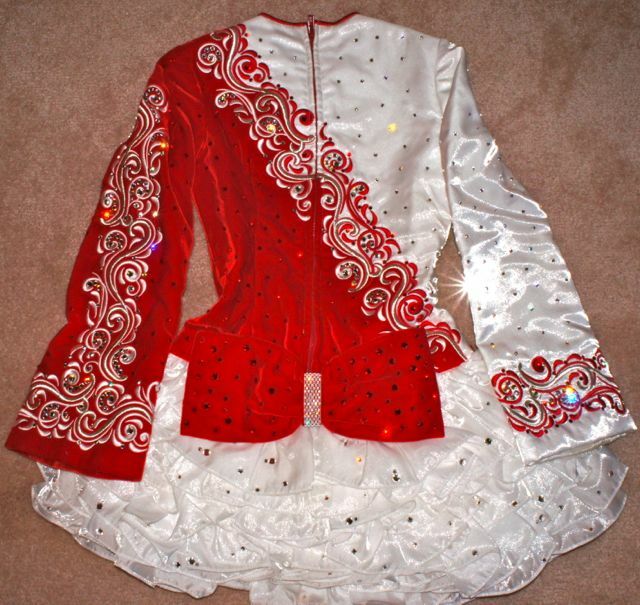 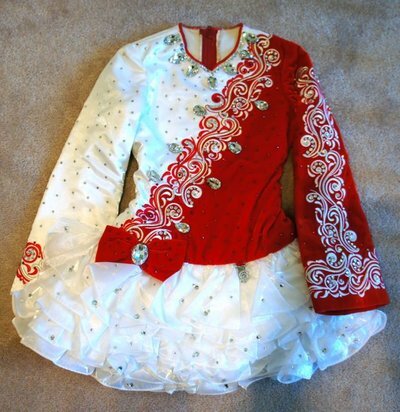 My daughter only wore it a handful of times due to a knee injury and has now sadly decided to stop dancing. 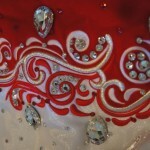 I have extra photos if you would like to see more! 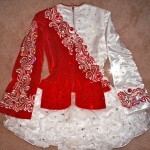 There is a tiara with a matching red velvet bow and white satin bloomers that are included.